The Premier 2 door style offers a huge range of design options. 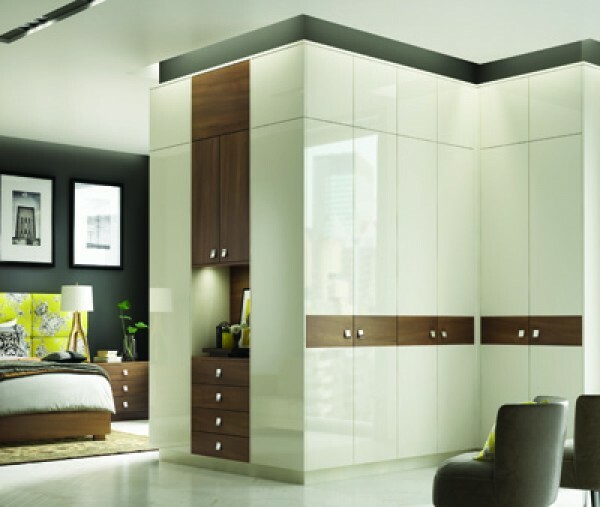 Shown here in Ivory Gloss with a contrasting Dark Walnut inlay, you can choose any combination of colours to suit your perfect bedroom theme. This bedroom is available in all the fabulous colours and finishes you see below. You can view all these finishes in the comfort of your own home. We’ll bring samples of each of them with us to your free, no obligation planning and design visit. The Premier 2 Range - Click Door For More Detail. For Quality Bespoke Bedrooms in Beverley and the East Riding of Yorkshire.